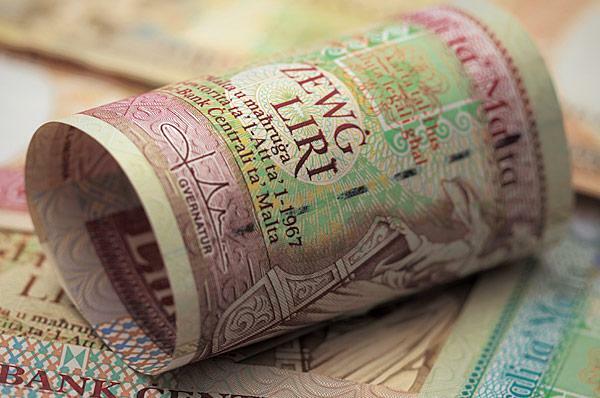 A staggering €38.9 million in old Maltese lira banknotes, stashed years ago in case of a rainy day, could go down the drain if they are not exchanged by January. Replaced by the euro nine years ago, the Maltese lira ceased to be legal tender as from the end of January 31, 2008. However, it may still be redeemed without charge at the Central Bank in Valletta at a rate of €2.33 for every lira by January 31, 2018. Figures on the collection and disposal of the Maltese lira banknotes were issued last month in the Central Bank’s 2016 annual report. It transpired that, by the end of last December, a total of 3.09 million old banknotes with a combined value of €38,897,310 remained in circulation. The figure was marginally below that of the previous year. In 2016, a total of 36,138 demonetised Maltese lira bank notes were redeemed for the combined sum of €840,067. In contrast, in 2015, the value of the Maltese lira banknotes exchanged had stood at €1,352,428. Though the Central Bank’s annual report did not include a detailed breakdown of the banknote denominations still in circulation, it is thought that the bulk consists of old Lm20 notes.